Chadian Arabic is one of the regional colloquial varieties of Arabic and is the first language for over three million people, both town dwellers and nomadic cattle herders. The majority of its speakers live in southern Chad. Its range is an east-to-west oval in the Sahel, about 1400 miles long by 300 miles north-to-south. Nearly all of this territory is in the two countries of Chad and Sudan. It is also spoken elsewhere in the vicinity of Lake Chad in the countries of Cameroon, Nigeria, Niger. Finally, it is spoken in slivers of the Central African Republic and South Sudan. In addition, this language serves as a lingua franca in much of the region. In most of its range, it is one of several local languages and often not among the major ones. Habré was born in 1942 in Faya-Largeau, northern Chad, then a colony of France, into a family of shepherds. He is a member of the Anakaza branch of the Daza Gourane ethnic group, which is itself a branch of the Toubou ethnic group. After primary schooling, he obtained a post in the French colonial administration, where he impressed his superiors and gained a scholarship to study in France at the Institute of Overseas Higher Studies in Paris. He completed a university degree in political science in Paris, and returned to Chad in 1971. He also obtained several other degrees and earned his Doctorate from the Institute. After a further brief period of government service as a deputy prefect,  he visited Tripoli and joined the National Liberation Front of Chad (FROLINAT) where he became a commander in the Second Liberation Army of FROLINAT along with Goukouni Oueddei. After Abba Siddick assumed the leadership of FROLINAT, the Second Liberation Army, first under Oueddei's command and then under Habré's, split from FROLINAT and became the Command Council of the Armed Forces of the North (CCFAN). In 1976 Oueddei and Habré quarreled and Habré split his newly named Armed Forces of the North (Forces Armées du Nord or FAN) from Goukouni's followers who adopted the name of People's Armed Forces (Forces Armées Populaires or FAP). Both FAP and FAN operated in the extreme north of Chad, drawing their fighters from the Toubou nomadic people. Faya-Largeau is the largest city in northern Chad and was the capital of the region of Bourkou-Ennedi-Tibesti. It is now in the Borkou Region, which was formed in 2008 from the Borkou Department of the former Bourkou-Ennedi-Tibesti region. The Anakaza are a Chadian tribe of the Gourane Dazagara people. One of the largest of Daza subgroups, they are a nomadic people traditionally employed in camel-herding. They are mostly located in the Saharan region of Borkou in northern Chad, they can be found in a vast area from Faya-Largeau nomadizing an area stretching from Oum Chalouba to the Djourab and Mortcha. Their name literally means, according to Marie Lebeuf, "the mixed people". Bardaï is a small town and oasis in the extreme north of Chad. It is the main town of the Tibesti Region, which was formed in 2008 from the Tibesti Department of the former Bourkou-Ennedi-Tibesti region. 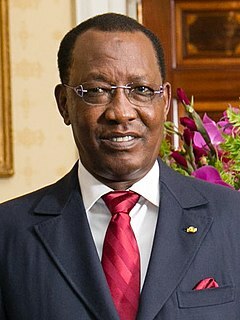 Vice President of Chad was a political position in Chad from 1975 to 1982 and from 1990 to 1991. Félix Malloum or Félix Malloum Ngakoutou Bey-Ndi was a Chadian politician. He attended the French military academy and saw action in Indochina and Algeria. He later served as an officer in the Chadian Military and a member of the ruling Chadian Progressive Party (PPT). In 1971, he became the Chief of General Staff with the rank of colonel and named Commander-in-chief of the Armed Forces in 1972. In July 1973, he was arrested and imprisoned by President François Tombalbaye on charges of conspiring against the government, but was released after a successful coup-d'etat on April 13, 1975. He served as both President and Prime Minister of Chad until August 29, 1978, when Hissène Habré was appointed Prime Minister to integrate armed northern rebels into the government. However, he was unsuccessful and resigned from the presidency on March 23, 1979 after signing the Kano Peace Agreement which allowed the rebels to form a provisional government. Human rights groups hold Habré responsible for the killing of thousands of people, but the exact number is unknown. Killings included massacres against ethnic groups in the south (1984), against the Hadjerai (1987), and against the Zaghawa (1989). Human Rights Watch charged him with having authorized tens of thousands of political murders and physical torture. Habré had been called "the African Pinochet,"    in reference to former Chilean dictator Augusto Pinochet.  . According to some leading experts, the tribunal that judges him, constitute an "internationalized tribunal", even if it is the most 'national' within this category"  . Opération Épervier was the codename, from 1986 until 2014, for the French military presence in Chad. Immunity from prosecution is a doctrine of international law that allows an accused to avoid prosecution for criminal offences. Immunities are of two types. The first is functional immunity, or immunity ratione materiae. This is an immunity granted to people who perform certain functions of state. The second is personal immunity, or immunity ratione personae. This is an immunity granted to certain officials because of the office they hold, rather than in relation to the act they have committed. Hassan Djamous was a Commander in Chief of the Chadian Army and a cousin of current Chadian President Idriss Déby. The Hassan Djamous International Airport is named after him. The Hadjarai are a group of peoples comprising 6.7% of the population of Chad, or more than 150,000 people. The name is an Arabic exonym, literally meaning "[those] of the stones". It is used collectively to describe several distinct ethnic groups living in the hilly Guéra Region. Chad–Libya relations have arisen out of centuries of ethnic, religious, and commercial ties. Chad shares strategic borders with Libya, and the Darfur area of Sudan. While some categorizations put it into central or west Africa, its important interactions are with East Africa. Libya invades Chad in December of the 1980s. Souleymane Guengueng is a Chadian torture victim and human rights activist, who was instrumental in bringing legal action against the former dictator Hissène Habré.He was born in 1952. The Human Rights Data Analysis Group is a non-profit, non-partisan organization that applies rigorous science to the analysis of human rights violations around the world. The organization has published findings on conflicts in Syria, Colombia, Chad, Kosovo, Guatemala, Perú, East Timor, India, Liberia, Bangladesh, and Sierra Leone. The organization provided testimony in the war crimes trials of Slobodan Milošević and Milan Milutinović at the International Criminal Tribunal for the former Yugoslavia, and in Guatemala's Supreme Court in the trial of General José Efraín Ríos Montt, the de facto president of Guatemala in 1982-1983. Gen. Ríos was found guilty of genocide and crimes against humanity. Most recently, the organization has published on police violence in the United States. Jacqueline Moudeina is a Chadian lawyer and human rights activist, who is known for her work in bringing Hissène Habré to justice for crimes against humanity, as well as those who worked with him. R v Bow St Metropolitan Stipendiary Magistrate  1 AC 61, 119 and 147 is a set of three UK constitutional law judgments by the House of Lords, on whether former Chilean dictator Augusto Pinochet could claim state immunity from torture allegations made by a Spanish court and therefore evade extradition to Spain. 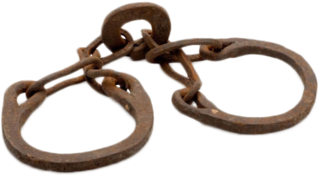 It affected international criminal law and human rights law. Delphine Djiraibe is a Chadian attorney and co-founder of the Chadian Association for the Promotion and Defense of Human Rights.In 2006 she also founded the Public Interest Law Center (PILC). BBC News has described her as "one of Chad's most prominent human rights lawyers". Reed Brody is an American human rights lawyer. He specializes in helping victims pursue abusive leaders for atrocities, and has gained fame as the "Dictator Hunter". He worked as counsel for the victims in the case of the exiled former dictator of Chad, Hissène Habré – who was convicted of crimes against humanity in Senegal - and has worked with the victims of Augusto Pinochet and Jean-Claude “Baby Doc” Duvalier. He currently works with victims of the former dictator of Gambia Yahya Jammeh. Sidiki Kaba, is the keeper of the seals and the Minister of Justice of Senegal since 2013. On 8 December 2014, he was elected as President of the Assembly of States Parties to the Rome Statute of the International Criminal Court as consensus candidate from the African States Parties and endorsed by the Bureau of the Assembly. He will serve as President of the Assembly, which operates from New York and The Hague, while also continuing his functions as Minister of Justice from Dakar. Rose Lokissim was one of the first female elite soldiers from Chad. She fought against Hissène Habré's dictatorship in the 1980s. The Commission of Inquiry into the Crimes and Misappropriations Committed by Ex-President Habré, His Accomplices and/or Accessories was established on December 29, 1990 by the President of Chad, Idriss Déby. Its goal was to investigate the “illegal detentions, assassinations, disappearances, torture, mistreatment, other attacks on the physical and mental integrity of persons; plus all violations of human rights, illicit narcotics trafficking and embezzlement of state funds between 1982 and 1990”, when former President Hissène Habré was in power. Sy Koumbo Singa Gali .She was born in N'Djaménana the capital of Chad. William Bourdon, is a French lawyer of the Paris Bar Association who practices criminal law, particularly specializing in white-collar crime, communications law and human rights. He particularly specializes in defending the victims of globalization and crimes against humanity. He has been with Bourdon Simoni Voituriez since 1979. 1 2 3 Douglas Farah (27 November 2000). "Chad's Torture Victims Pursue Habre in Court". The Washington Post. Retrieved 3 July 2012. ↑ "Hissene Habre: Chad's ex-ruler convicted of crimes against humanity". BBC. May 30, 2016. Retrieved March 27, 2017. 1 2 "Chad's former president has been found guilty of crimes against humanity. Who's next?". The Economist . 1 June 2016. Retrieved 2 June 2016. ↑ Sam C. Nolutshungu, Limits of Anarchy: Intervention and State Formation in Chad (1996), page 110. 1 2 3 4 5 6 7 8 9 A Country Study: Chad (PDF). Federal Research Division, Library of Congress. December 1988. ↑ "Entführung: Bedenkliches Zugeständnis aus Bonn: Diplomatische Beziehungen abgebrochen – Dr. Staewen berichtet über Gefangenschait im Tschad (Abduction: dubious sanction from Bonn: Diplomatic relations broken off – Dr. Staewen reported hostage in Chad)" (PDF). Das Ostpreußenblatt (in German). 6 July 1974. p. 5. ↑ "Deutscher Rebellen-Funk". Der Spiegel (in German). 17 June 1974. Retrieved 3 July 2012. ↑ "Zum Weinen". Der Spiegel (in German). 15 September 1975. Retrieved 3 July 2012. 1 2 3 4 5 6 7 Meredith, Martin (2005). The Fate of Africa: A History of Fifty Years of Independence (1st ed.). New York: Public Affairs. ISBN 9781586482466. ↑ "BBC News – Senegal police arrest Chad former leader Hissene Habre". BBC News. Retrieved 8 March 2015. 1 2 "Profile: Chad's Hissene Habre". BBC News. 30 May 2016. Retrieved 31 May 2016. ↑ "Chad: Report of the Commission of Inquiry into the Crimes and Misappropriations Committed by Ex-president Habré, His Accomplices and/or Associates" (PDF). United States Institute of Peace. 7 May 1992. Retrieved 3 July 2012. ↑ "Former Chad President Hissene Habre detained, may face war crimes charges". GlobalPost. Retrieved 8 March 2015. ↑ "Profile: Chad's Hissene Habre". BBC News. 3 July 2006. Retrieved 3 July 2012. ↑ "France to help try Chad ex-leader". BBC News. 27 July 2007. Retrieved 3 July 2012. ↑ Bernard Lanne, "Chad: Regime Change, Increased Insecurity, and Blockage of Further Reforms", Political Reform in Francophone Africa (1997), ed. Clark and Gardinier, page 274 (see also note 26). ↑ U.S.-Backed Chadian Dictator Hissène Habré Faces War Crimes Trial in Historic Win for His Victims. Democracy Now! 2 July 2013. 1 2 "The Case Against Hissène Habré, an "African Pinochet"". Human Rights Watch. Retrieved 3 July 2012. ↑ "Senegal: US Urges Action on Chadian Ex-Dictator's Trial". Human Rights Watch. Archived from the original on 22 July 2011. 1 2 3 Searcey, Dionne (30 May 2016). "Hissène Habré, Ex-President of Chad, Convicted of War Crimes". The New York Times. Retrieved 30 May 2016. 1 2 "Hissene Habre: Chad's ex-ruler convicted of crimes against humanity". BBC News. 30 May 2016. Retrieved 30 May 2016. ↑ "Chad's Hissene Habre: Battle to bring 'Africa's Pinochet' to court". BBC News. 20 July 2015. Retrieved 30 May 2016. ↑ Savadogo, Raymond Ouigou (2014). "Les Chambres africaines extraordinaires au sein des tribunaux sénégalais". Études Internationales. 45 (1): 105. doi:10.7202/1025119ar. 1 2 "How the mighty are falling". The Economist. 5 July 2007. Retrieved 3 July 2012. ↑ Human Rights Watch (16 March 2006). "Chad: European Parliament Calls for Trial of Hissène Habré". allafrica.com. Retrieved 3 July 2012. ↑ "Sénégal: les députés modifient la Constitution pour juger Hissène Habré" (in French). Google News. Agence France-Presse. 8 April 2008. Archived from the original on 24 January 2013. Retrieved 3 July 2012. ↑ "Senegal amends constitution". News 24. Associated Press. 9 April 2008. Retrieved 3 July 2012. ↑ "Senegal may finally try Habre". News 24. Reuters. 24 July 2008. Retrieved 3 July 2012. 1 2 3 "Habré's legal defence dubs Chadian court "underground, unfair" over death sentence". Agence de Presse Africaine. 22 August 2008. Archived from the original on 21 February 2013. Retrieved 3 July 2012. 1 2 "Chad ex-leader sentenced to death". BBC News. 15 August 2008. Retrieved 3 July 2012. 1 2 Thomas Fessy. "BBC News – Hissene Habre: Senegal MPs pass law to form tribunal". Bbc.co.uk. Retrieved 2012-12-19. ↑ Christopher Tansey (25 April 2011). "Bringing Hissène Habré to Justice: Senegal to Create a Special Tribunal in Compliance with ECOWAS Court Judgment". The Human Rights Brief. Retrieved 3 July 2012. ↑ "African Union: Press Senegal to Extradite Habré". vadvert.co.uk. 29 June 2011. Retrieved 3 July 2012. ↑ "Senegal urged to halt ex-Chad leader Habre extradition". BBC News. 10 July 2011. Retrieved 3 July 2012. ↑ "Senegal suspends Hissene Habre's repatriation to Chad". BBC News. 10 July 2011. Retrieved 3 July 2012. ↑ Staff (20 July 2012). "Hissene Habre: ICJ rules Senegal must try ex-Chad leader immediately". BBC News. Retrieved 20 July 2012. ↑ Searcey, Dionne (2016-05-30). "Hissène Habré, Ex-President of Chad, Convicted of War Crimes". The New York Times. ISSN 0362-4331 . Retrieved 2016-05-30. ↑ "Senegal Detains Ex-President of Chad". NY Times. Retrieved 30 June 2013. ↑ "Ex-Chad leader charged over war crimes" . Retrieved 8 March 2015. ↑ "Hissene Habre: Chad's ex-ruler convicted of crimes against humanity – BBC News". BBC News. Retrieved 2016-05-30. ↑ Savadogo, Raymond O. (2014). "Les Chambres africaines extraordinaires au sein des tribunaux sénégalais". Revue Études Internationales. 45 (1): 105. doi:10.7202/1025119ar. ↑ Aislinn Laing (20 July 2015). "'African traitors!' Chad dictator trial in Senegal has a chaotic start". The Daily Telegraph . Retrieved July 20, 2015. ↑ "Chad's Hissene Habre removed from Senegal court". BBC News . 20 July 2015. Retrieved July 20, 2015. ↑ "Trial of Chad's ex-dictator Habré adjourned to September 7". France 24 . July 21, 2015. Retrieved July 24, 2015. ↑ "Chad's Hissene Habre forced to appear in court". BBC News . July 21, 2015. Retrieved July 24, 2015. The trial has been suspended until 7 September after Mr Habre and his lawyers refused to speak to the judge. ↑ Diadie Ba (July 21, 2015). "Trial of Chad's Habre suspended after boycott by his lawyers". Reuters . Retrieved July 24, 2015. ↑ Thierry Cruvellier (July 27, 2015). "For Hissène Habré, a Trial by Refusal". The New York Times . Retrieved July 28, 2015. ↑ Burke, Jason (30 May 2016). "Hissène Habré trial provides model for international justice". The Guardian. Retrieved 30 May 2016. ↑ Dewan, Angela; Swails, Brent (30 May 2016). "Ex-Chad dictator sentenced to life for war crimes". CNN. Retrieved 30 May 2016.